This Advanced Canyoneering Course (ACE-L2) is designed to provide students with the tools needed to jump to the next level of technical skill and become competent and safe canyoneers in ALL classes of canyons and touches on techniques and skills for Canyon Essentials (ACE-L3) and Canyon Rescue (ACE-L4). The practical experience that you gain during this course will give you the knowledge and confidence to tackle advanced canyon obstacles and many unexpected situations. This extremely popular curriculum has set the standard by which all other courses and curriculums may be judged. This course was designed primarily to meet the needs of recreational canyoneers, but also forms the training foundation for those planning to seek certification as a Professional Canyon Guide (ACE-L5). Prerequisite: Uber Adventures’ 3-day Technical Canyoneering Course (ACE-L1) or Instructor permission. Since this Two-Day Advanced Canyoneering Course (ACE-L2) builds upon the skills and techniques presented in our 3-Day Technical Canyoneering Course (ACE-L1), you must have that training or extensive personal experience to be admitted to this class. 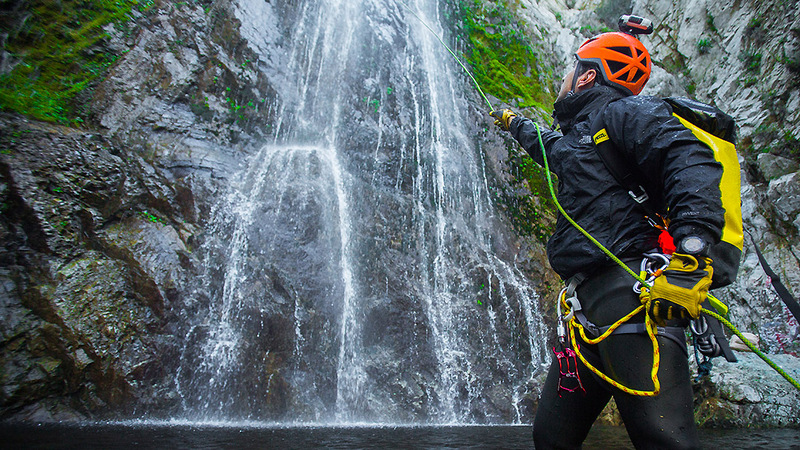 Tuition for this 2-Day Advanced Technical Canyoneering Course (ACE-L2) is $395 per individual. A $100 non-refundable deposit will reserve your space in this class. While the deposit is non-transferrable and non-refundable, it may be put toward a future course in the same calendar year if 30 days notice are given, cancelling your participation. If 30 days notice are not given, the remainder of the course fee will be due regardless of whether or not you attend the course. Read more company/course policies here. Included with tuition is all instruction and all group Canyoneering equipment, i.e. : ropes, webbing, rope bags, rapides, rigging, etc. … and a Certificate of Completion!! We provide no camping nor camping gear for this course location, however camping near us is a mere $8/night! Warning: The activities in this course have been found to be addictive. Only those people prepared for ultimate adventure and nonstop fun need attend! Instructor: Klaus Gerhart – ACE (Association for Canyoneering Education) Master Instructor/Certified Guide, American Canyon Guides Association (ACGA) Certified Guide, Officer and Instructor, Certified Tactical Rappel Master, Wilderness First Responder, Swiftwater Rescue Technician, Technical Rope Rescue Technician, Map & Compass Navigation Instructor, trained Whitewater Rafting Guide, former instructor for Sierra Club’s Wilderness Travel Course, and a Master Educator for Leave No Trace wilderness ethics.